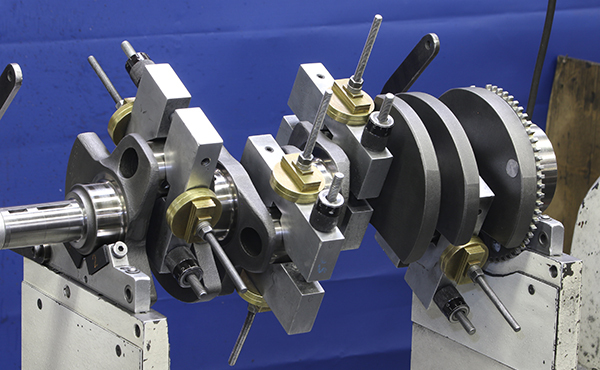 Since balancing has become more critical, it is important to know what constitutes a balanced rotating assembly or not. If you look down the nose of a V8 or V6 crank, you’ll notice that the counterweights are like a corkscrew and that’s because they react with each other through the system of the crank itself. If you understand that then you can understand where to remove the metal.